I found a little present cleaning out my photos from my old phone to my new phone. When I was in town last month between Peru and the National Jamboree, I had lunch with my mother up in the burbs at Cafe Buongiorno. It's one of those cute little cafes in the middle of town that serves breakfast all day and other treats. The menu is quite large and creative for such a small spot, and loved by everyone I've run into. 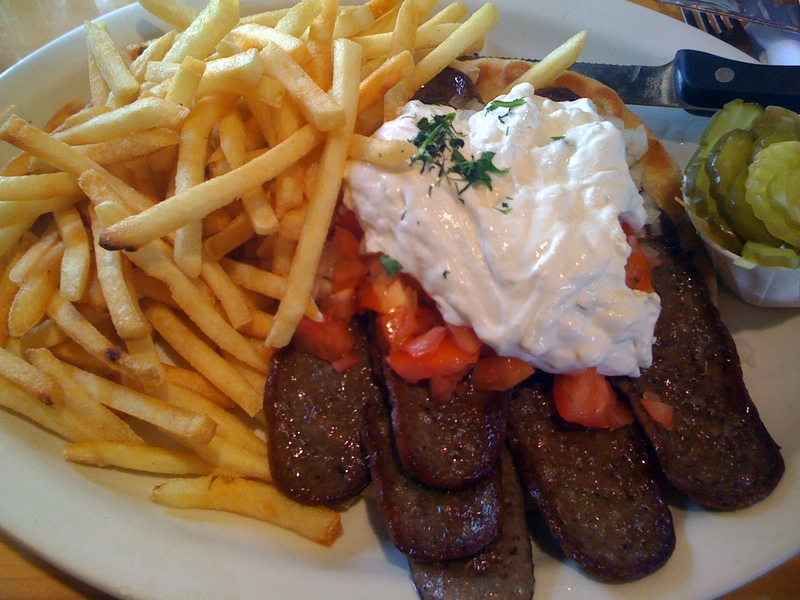 Trying to remember what I was thinking a month ago is hard to do, but I guess I was in the mood for some mid-day gyros. They were tasty, plentiful and served with plenty of fries. I ate more than I wanted, but I have a hard time not eating good food. I'm not adding anything new to the body of food info out there, but in case you find yourself looking for a lunch spot in Winnetka, go to Buongiorno.